The hypothesis that entrepreneurship is linked to economic growth finds it’s most immediate foundation in simple intuition, common sense and pure economic observation: activities to convert ideas into economic opportunities lie at the very heart of entrepreneurship. Entrepreneurship is a source of innovation and change, and as such spurs improvements in productivity and economic competitiveness. The entrepreneur has been a fundamental agent in most production, distribution and growth theories. The role of entrepreneurship as the driving force of economic growth found its most explicit foundation. Empretec was established in 1988 to promote entrepreneurship in developing countries. Empretec’s programs have been initiated in 27 countries plus additional centers in Brazil, assisting more than 80, entrepreneurs through local driven business support centers. The information collected for this paper was secondary data rather than conducting survey. 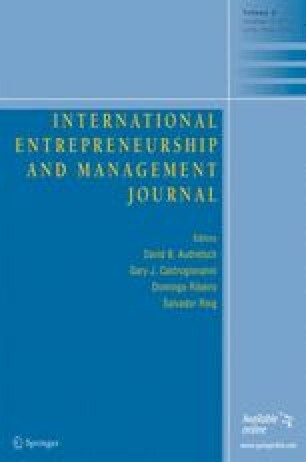 Therefore, one objectives of this paper is to examine the exact nature of entrepreneurship and its role in economic theory. I would like acknowledge my beloved wife (Kumba Jayfang) and son (Omar Sanyang) for being patient with me while undergoing my academic career. EMPRETEC. (2004). What is EMPRETEC? www.EMPRETEC.net.